With more of us moms juggling BOTH full time mom duty AND working either part of full time jobs, we are taking on working double duty more than ever! It’s all about worker smarter, not harder! If you are a Mom and you work from home but may be struggling with working and baby duty, here are some tips and tricks on how to be successful in working from home. Let’s be realistic with everything that we do. Working from home is not going to be a walk in the park. You have to be goal-oriented and determined to juggle your time being boss babe and mama. Being a If Mompreneur is no easy feat, you’re juggling the demands of being at home and everything that needs to get done- on TOP of serving your clients, emails, keeping up with social media and all the other millions of tasks you need to attend to in your biz. Set yourself up on the right path and identify what are the things you need to accomplish put a game plan in place. Not sure how to do this? Setup a one hour GAME PLAN session with me now! This is one of the hardest things to do but believe me when I say that waking up earlier will make such a difference in your daily schedule. When you’re a mama who is juggling working from home it can be challenging to finish all of your tasks both for your kids/ home and stay focussed on work. Wake up an hour early or two before your kids get up. You will see that more work can be done with fewer interruptions. This tip is proven over and over again! Regardless if you go out of the house or not, always make sure you get up and get dressed every single day. This will help your brain convince you that you’re in work mode. Wearing your pajamas and seeing your bed won’t be very helpful, you’d be tempted to slack around and jump right back in bed. It’s all in the mindset. Get up, get dressed and get moving! The busier your morning are, the better chance of your kiddos taking a nice afternoon nap for you. The more tired they are- the longer they’ll sleep! Also, get them on a predictable schedule so you will know most days around what time they will get tired and go down for a nap. Then you can plan your calls and work around nap time. A study shows that a quick check on Facebook’s timeline can last for 40minutes. Imagine how much work time you’re loosing because you just wanted to know what’s going on on social media. Keep your focus in your own business and get yourself to work. Try to schedule a time when to check your social media apps if you’re really into it AND set a timer for this as well so you don’t fall into social media abyss. Keep a daily to-do list of all the tasks you need to get done. It’s so easy to forget both the small and important things both in out business and personal lives when they are not written down. Allow your to-do list to guide you on what needs to be done for the day and what priorities and tasks need to get done first. Don’t put off for later what you can do now. As moms we get very few pockets in the day that we can dedicate to personal or work time. Use this time wisely and focus in on what needs to get done. That being said, things can sometimes go crazy especially when you have kids running around so set your priorities, know what you need to get done and be flexible if plans change. 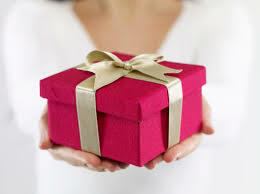 I also have a FREE GIFT I want to give you! 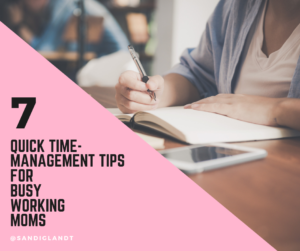 I know you are trying to juggle it all and I want to give you my 7 Proven Productivity Hacks for Moms! CLICK HERE to get your FREE GIFT NOW!